FRANKLIN –– Puckett’s Grocery & Restaurant will soon expand to east Tennessee, opening its new location in Pigeon Forge by the end of the summer. Most recently, A. Marshall Hospitality closed its Homestead Manor concept in order to focus on expansion efforts elsewhere in the company. The 7,700 square-foot building at 2480 Parkway is located next door to the Incredible Christmas Place and across the parkway from The Inn at Christmas Place. The exterior of the restaurant’s building mirrors the design of the Bavarian Village-style buildings unique to the area, while the interior will carry on the Southern decor that’s similar to its other locations. Marshall said the community was the primary draw for opening a restaurant in that area. 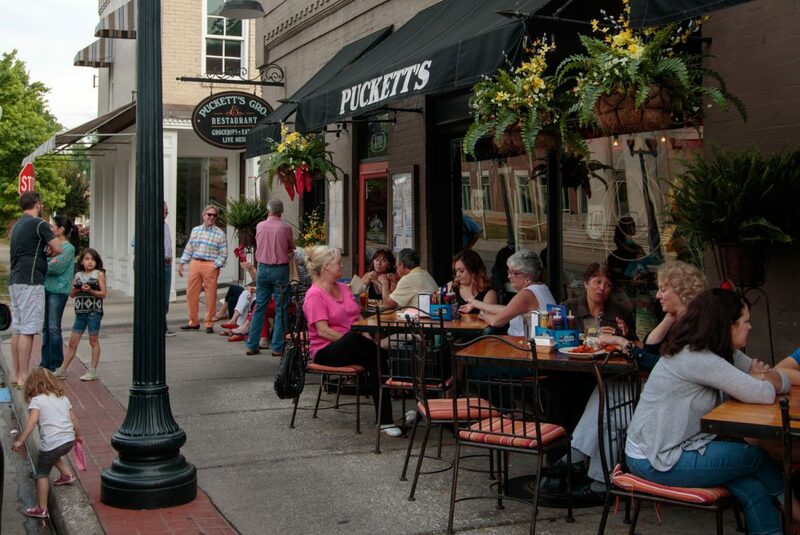 An opening for Puckett’s Pigeon Forge is tentatively slated for late summer or early fall. See the original article on The Tennessean website here.